A great and inexpensive way to update your kitchen is by painting kitchen cabinets. 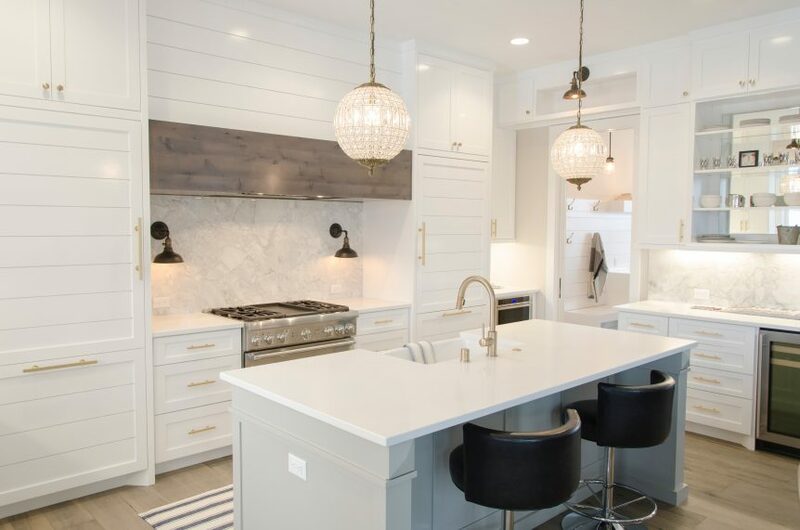 According to Sherwin Williams, a leading paint supplier to the cabinet market, over 70% of all kitchen cabinets sold into the market are getting paint finishes. Because of this it is important to understand exactly how process works for painting kitchen cabinets and what materials offer the highest quality paint finish. Traditionally solid wood has been seen as the leading material to use for cabinet doors, including on paint finishes. In recent years however MDF, or medium density fiberboard has become a better alternative, especially with the rise in popularity of the paint or solid color finish. There are numerous reasons that MDF has become more popular. Does not warp or crack when there are fluctuations in temperature and humidity. This is especially important when the paint finish is applied. MDF is made from densely packed wood fibers that offers a smooth and uniform surface for solid color finishing. This is in comparison to solid wood materials such as maple that have traditionally always been used for painting. Maple being a solid wood will always be susceptible to issues such as cracking, excessive grain raising, and a non-uniform finish. There are both 5 piece and 1-piece door options available providing a large variety of different door styles. MDF is a much better priced alternative to solid wood. There are a lot of different types of MDF panels on the market so it is important to make sure that your cabinet supplier is using a high quality MDF. One example of a low quality MDF material is not being properly able to seal the edges once it has been machined. This leads to flaking and cracking on the paint after installation. We pride ourselves at using high quality MDF that is sustainably manufactured in Canada with the highest water and heat resistance. Combined with our superior paint finish this allows us to manufacture a product that will last you many years. If you have any questions about painting your kitchen cabinets or kitchen renovations, please feel free to contact us.